Example of a website that is NOT affiliated with the Washington State Department of Licensing. 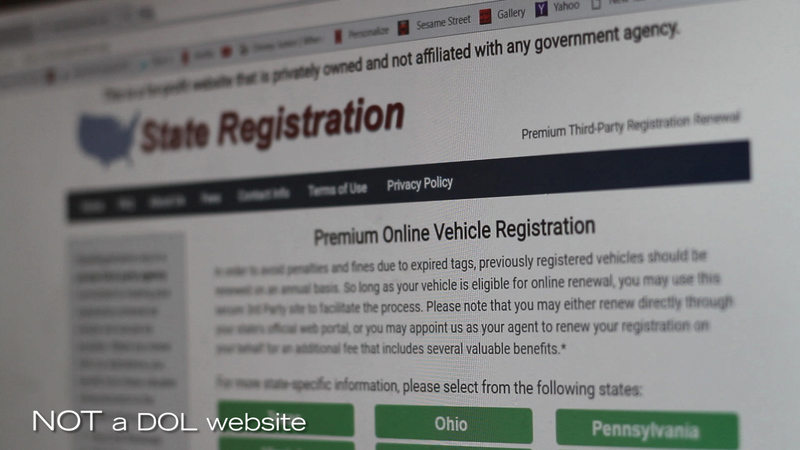 Be careful when considering any licensing or vehicle registration transaction on non-DOL websites. While many websites offer online services, there is only one official website for the Washington State Department of Licensing: dol.wa.gov. Unofficial websites typically charge additional fees. They may even charge for services that are free at dol.wa.gov. Worse yet, unofficial websites might never deliver the service you paid to receive. For a safe, secure transaction without additional fees, please visit dol.wa.gov.